On April 21, a year to the day since Prince’s death. 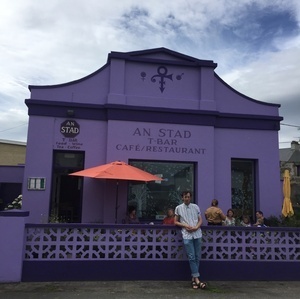 A night of Purple-hued goodness at the Grand Social, Lower Liffey Street, Dublin 1. Tickets at link below. Posted in Misc and tagged Nialler9, Prince at 12:05 pm on April 12, 2017 by Broadsheet. ‘Tom’ outside An Stad café, Wesleyan Street, Rathmullan, Co Donegal. Posted in Misc and tagged Prince, Rathmullen at 11:33 am on August 8, 2016 by Broadsheet. Posted in Comics and tagged frog, Prince at 9:03 am on August 8, 2016 by Niall Murphy. 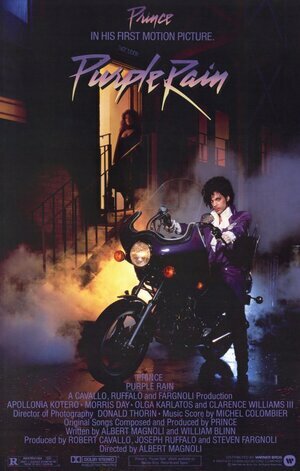 Posted in Misc and tagged Prince, purple rain at 12:25 pm on April 27, 2016 by Broadsheet. 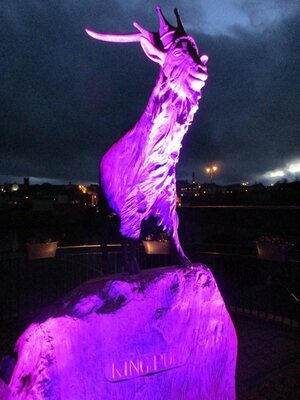 The King Puck statue in Killorglin, Co. Kerry. Posted in Misc and tagged King Puck, Prince, Purple at 9:00 am on April 25, 2016 by Broadsheet. 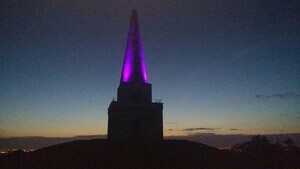 Posted in Misc and tagged Killiney Hill, Prince at 7:10 pm on April 23, 2016 by Broadsheet. 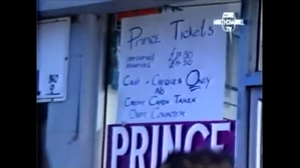 When Prince came to Cork. Páirc Uí Chaoimh on July 7, 1990. And stayed in Jury’s Hotel. Footage by Cork’s Multi-Channel TV. Posted in Misc and tagged 1990, Cork, Prince at 9:51 am on April 22, 2016 by Broadsheet. 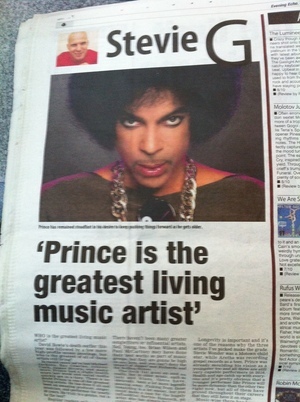 Today’s Cork ‘Evening Echo’ [purchased at 5.30pm] Spooky? Or is there a pattern? Anyone prepared to go back through the archives and see if celeb. deaths coincided with Echo articles about them? 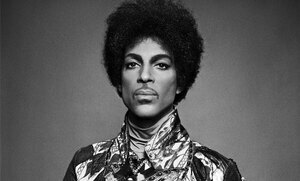 Posted in Misc and tagged Evening Echo, Prince at 8:59 pm on April 21, 2016 by Broadsheet. The singer Prince has died at his recording studio, age 57. Entertainment website TMZ said his body was discovered at his compound in Chanhassen, Minnesota this morning. A spokesperson confirmed his death to The Independent. “The news is devastatingly true,” they said. Tributes flood in for Prince who has passed away aged 57 Carver County Chief Deputy Jason Kamerud told Fox 9 that they responded to a medical call at 9.43 am. The cause of death is not yet clear. Posted in Misc and tagged dies, Prince at 6:53 pm on April 21, 2016 by Broadsheet.